Happy Monday my lovelies and for those of you in the States, Happy Memorial Day. 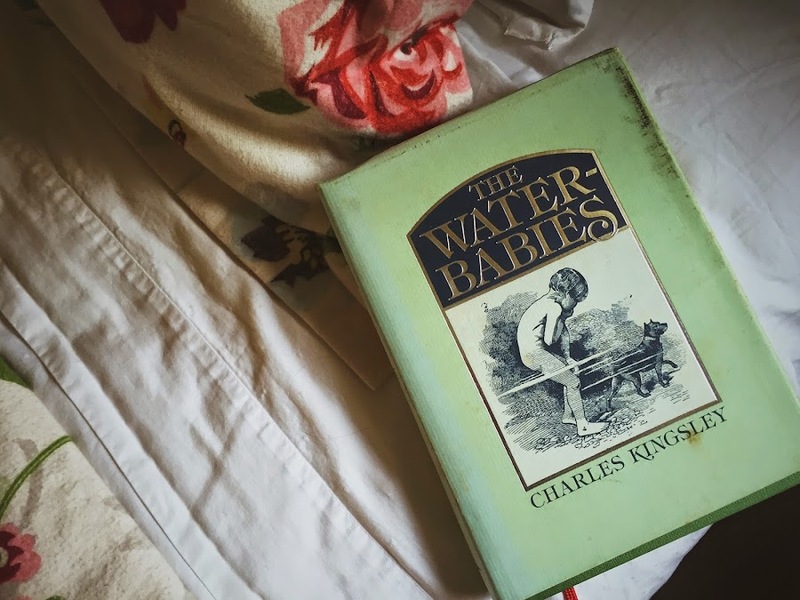 I spend part of the weekend looking through some old books and I found 'The Water-Babies' by Charles Kingsley. It's been in my collection for years and years and years (and it looks it) and gasp - I've never read it! So, cough, I can't really give any kind of coherent plot synopsis for you. But I flipped though it and friends, this is a wacky tale. And I'm thinking I might read it aloud to Julia once we get through a couple more of our 'Little House' books. The ART. Is bonkers-ville in my copy. 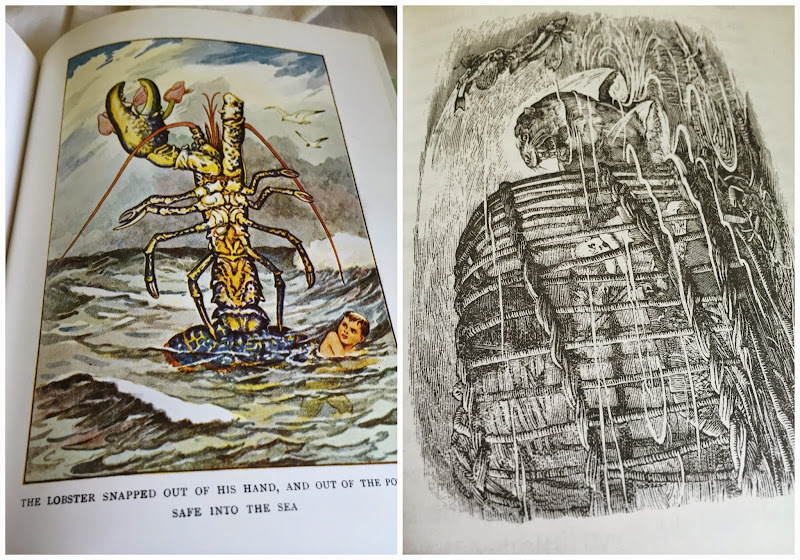 (the artist in my edition is Linley Sambourne, which is a Very Cool Name.) It's really surreal, sometimes creepy, and very very cool. 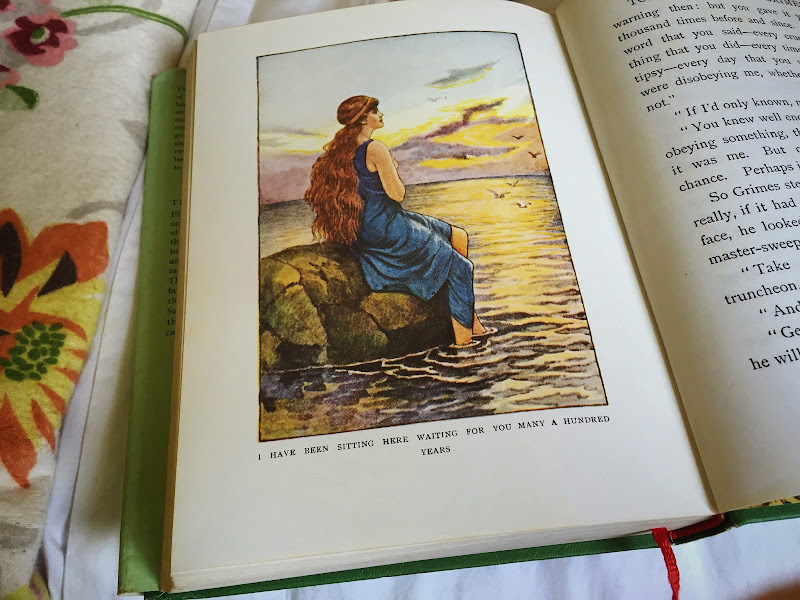 As I was flipping the pages, I felt like I had found some magic book that had been placed on my shelves by fairies. The whole vibe of it just seems 'Other'. Sort of 'Alice in Wonderland'-ish. 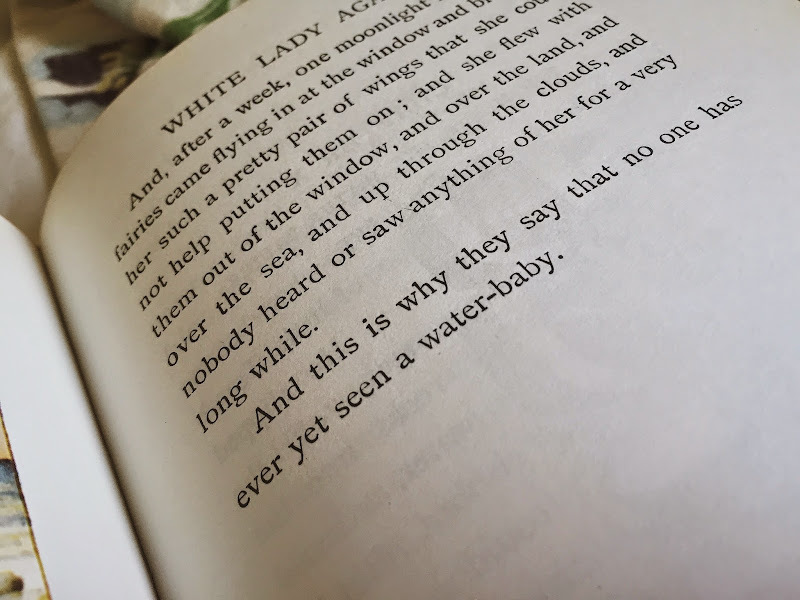 Written in 1863, 'The Water-Babies' is considered to be one of the Victorian age classic fairytales, along with 'Peter Pan'. Ok see the below picture? That's way creepy, yo. After reading more about it, I'm very intrigued. The gist is that a 12 year old poverty stricken and abused chimney sweep is somehow pulled into a magical sea world and transformed into a 'waterbaby'. Apparently, it's not an easy read, even though it was written for children. There's supposedly a ton of Victorian moralizing going on in it. Like, be clean. Get baptized. Stay pure. Become educated. Hey, look - Evolution! Whatever you say, Kingsley, but can you please explain what is going on WITH THAT LOBSTER?? (This is all interwoven into the hero's quest through the undersea fairy world.) And there are overt racial, anti-Irish and anti-American putdowns and references. FASCINATING. Oh those pesky Americans. People seem to either love this book beyond all imagining, or think it's the most boring thing they ever read. I can't speak to either one of those camps. The Victorian era morals subtext doesn't faze me, even though I'm not at all inclined towards religion and am closer to being a feng shui specialist (cosmic interior design sounds like a great idea! I'd join that party!). 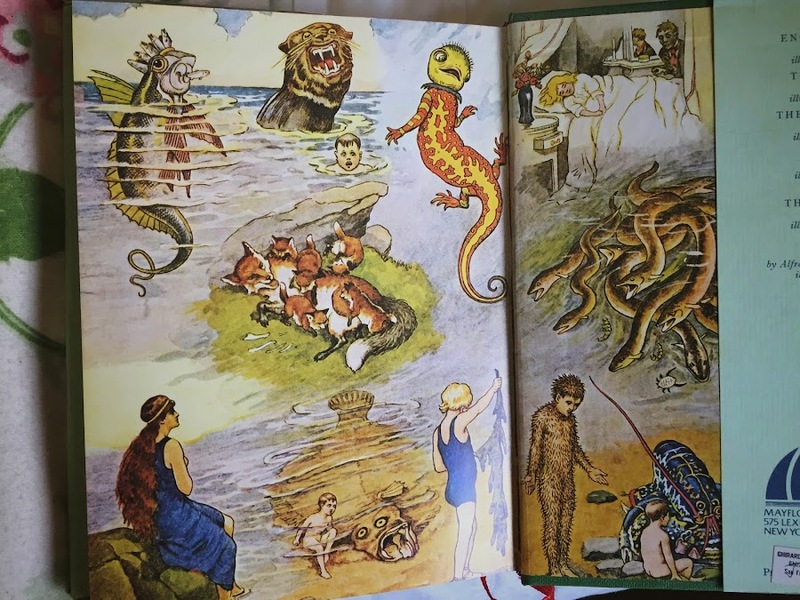 All I know is that the art in this one is CRAZY and I'm more than a little intrigued by a chimney sweep boy becoming a little waterbaby fairy thingamajig and then returning eventually to his human state. So, has anyone read 'The Water-Babies'? Care to enlighten me further? Did you like it? Was it boring? I care more about whether it's boring than if it's offensive, ha ha ha. Here's a link to an abridged copy that has lots of sprightly reviews of the story, both positive and negative. Amazon describes it as "one of the strangest children's stories ever written." Now I am intrigued. This is a book that I have often heard "of", but never "about." Me too! I was (am) in exactly the same boat! I'm gonna read this sucker. I gotta know what all the hubbub is about. I've seen many vintage copies at antique stores, but I neither own nor have read it. Hmm. 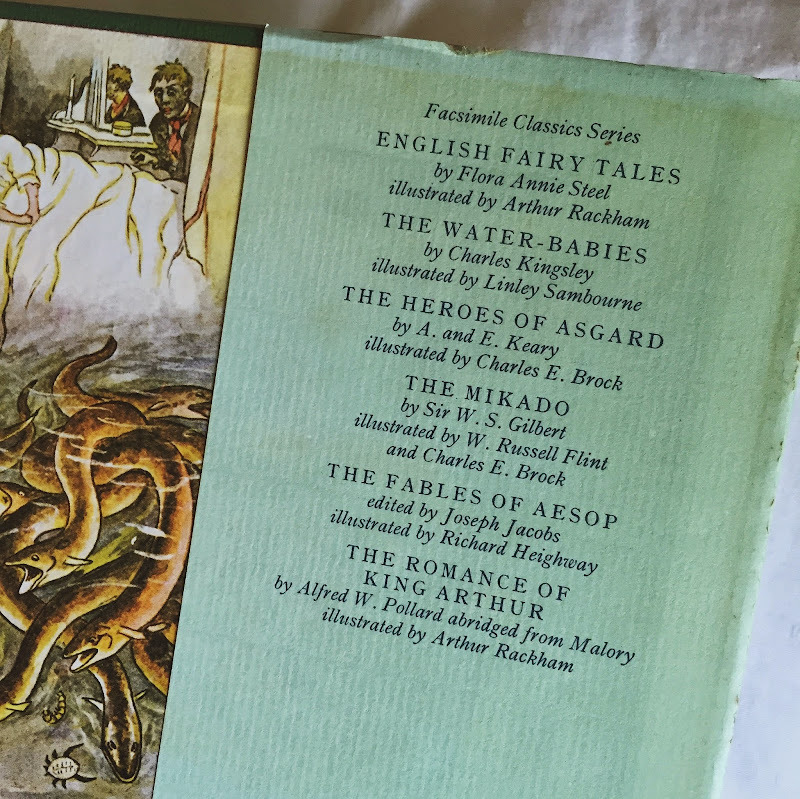 I have my childhood copy of Water Babies on my daughter's bookshelf. My copy of this book is well-loved, but I haven't re-read it as an adult (maybe I should before I read it with my daughter!). 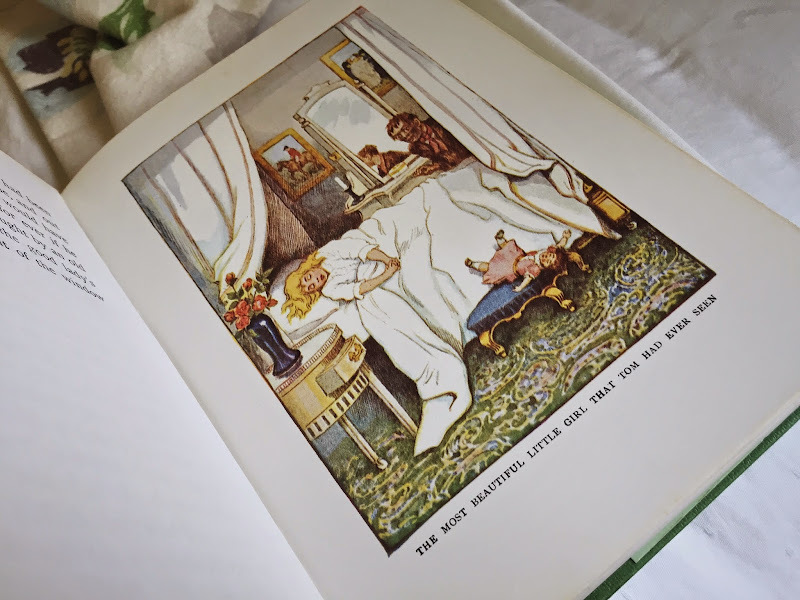 I think one of the reasons I adored this book is because my mother bought me an edition that was illustrated by Mabel Lucie Attwell - definitely google her name + Water Babies and check out the illustrations she did for this book - they are just glorious! I know her art, she's amazing! Lucky lucky!! 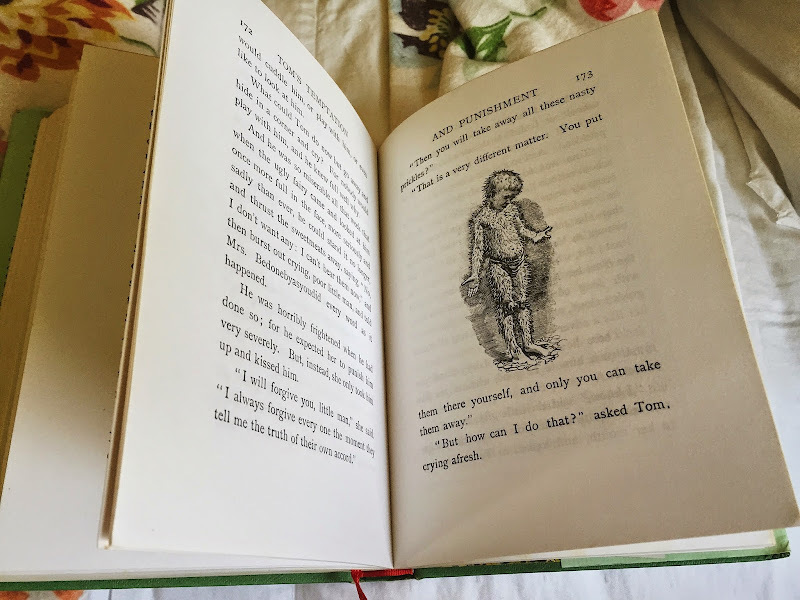 There is a new version of Attwell's illustrated version coming December of this year to celebrate the 150th anniversary, it looks darling. OMIGOLLY. I do recall that there was such a thing, but I haven't seen it!!! Thank you!! i know!!!! glad you love it too!